Vatican City: Pope Francis has denounced the global financial system, blasting the “cult of money” that he says is tyrannising the poor and turning humans into expendable consumer goods. I suggest that, if ‘Frank’ is frank about his rhetoric, that he begin by carefully, prayerfully, and conscientiously reexamining ‘his’ church’s teaching, right back through its entire history, on the key question of Usury. 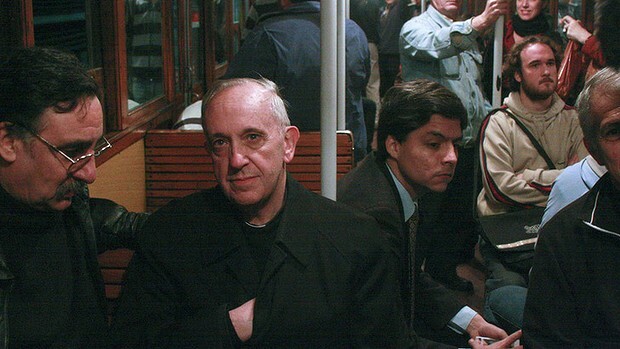 He might like to purchase Michael Hoffman’s “Usury In Christendom: The Mortal Sin that Was, and Now Is Not” to save him spending an eternity in research purgatory. When ‘Frank’ humbly recognises that he, along with all his preceding “Infallible’s” since the Renaissance, are — by practice and decree of the church in its first millennia and a half — all flagrant heretics on the question of Usury, then this blogger might begin to take his preaching seriously.